Until Sophie and Georgia discovered the gift wrap in the box behind Soph's bedroom door, that is! Suddenly, the girls' favourite game was 'Let's wrap the presents' - they would pick a couple of toys, grab the roll of wrapping paper and wrap the whole thing around the toy, wrinkling and ripping up the paper as they went! Now I'm all for crafty play, but it was wasting so much paper, I needed a better option! So a couple of weeks ago I started looking for other options with the help of Google. 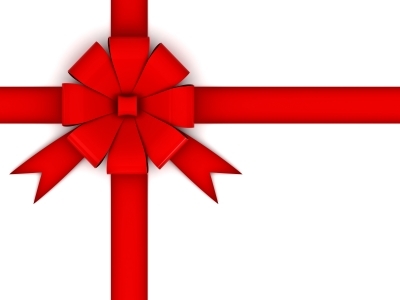 I found a lot of great products but it's almost Christmas and we also desperately need a new, reliable computer so we are saving our dollars as much as possible - which means no extra purchases if we can find a solution at home. Then I remembered this post at Tina Gray's blog last year, and it was exactly what I was looking for! We have a couple of underbed storage boxes from Aldi and one has been sitting empty for a while, waiting for me to find something to keep in it. This was my answer! In this box I keep rolls of wrapping paper, ribbons, sticky tape, Christmas cards, coffee filters (that's how I wrap baby clothes presents to look like cupcakes - let me know if you want a tutorial!) and two expandable file folders. In the large folder I keep birthday and special occasion cards, plus wrapping paper sheets. In the small expandable file, I keep labels and ribbons. It holds it all neatly and so far, the girls haven't gotten into it, fingers crossed it stays that way! 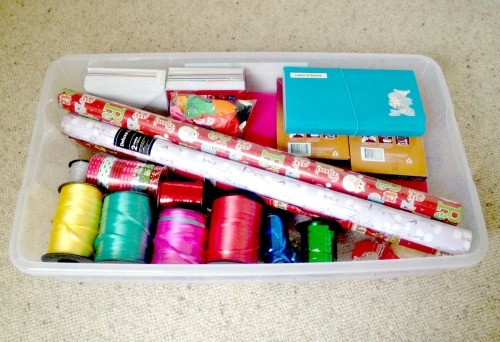 The best part about this storage idea: Definitely the fact that the rolls of wrapping paper are laid flat. It means the bottom isn't getting wrinkled and torn like it was when I had it standing up in a box behind the door. 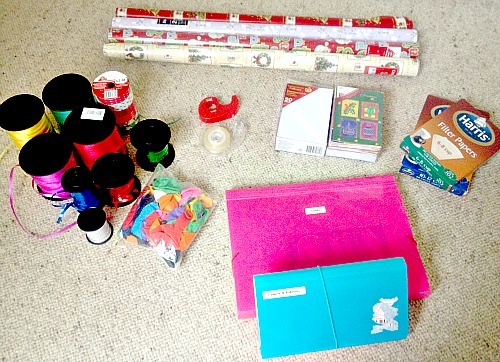 I'd love to know how you store your wrapping paper - comment below and share your ideas! This post isn't sponsored, and everything shown was purchased by me. I love putting left over Xmas wrapping into post pack tubes. Keep it all dust free and safe from being squished! Saved a fortune over the last couple of years!